The Box as an enclosed man- made structure comes to symbolize Man’ s venture beyond Horizon. 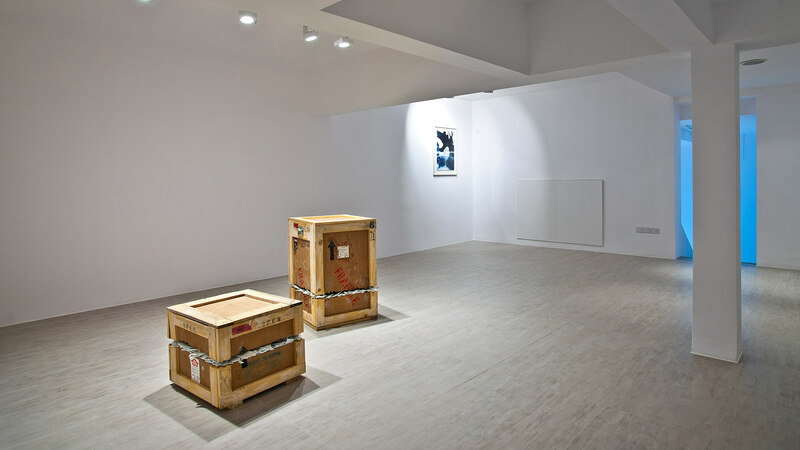 Any great move away from Home or to a Home most expected, is a leap to a Horizon untraced and always it involves Boxes; one or more of them as a matter of fact. 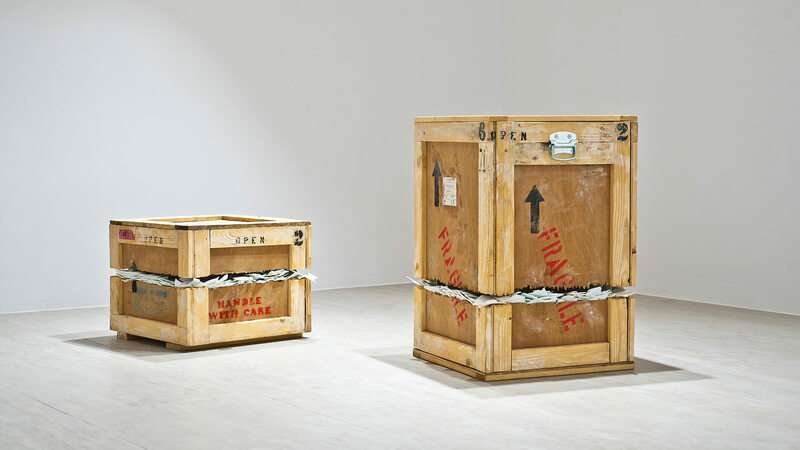 The greater the Box, the more robust the material it is made of the more great the move seems to be, and as such the enclosed items’ important value whereas economic or symbolic intensifies. 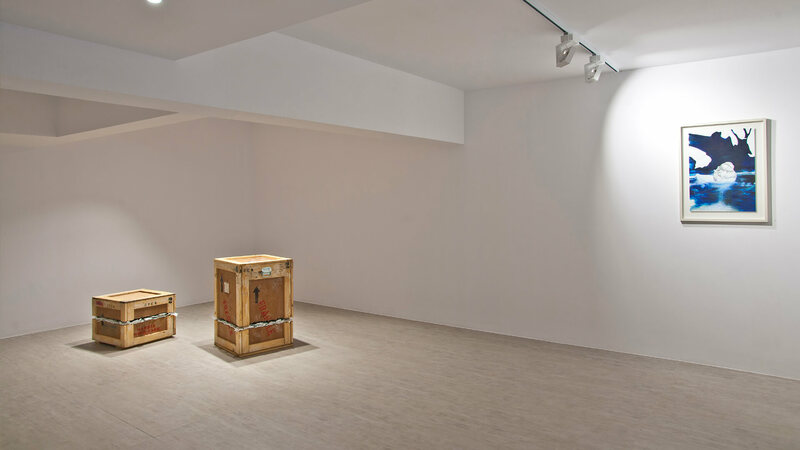 Klitsa Antoniou’s relevant work is such a Box; wooden, robust, grand. Its contents; items related to a life that the one that makes the move, needs desperately to preserve as memory tokens of a past he is to abandon. 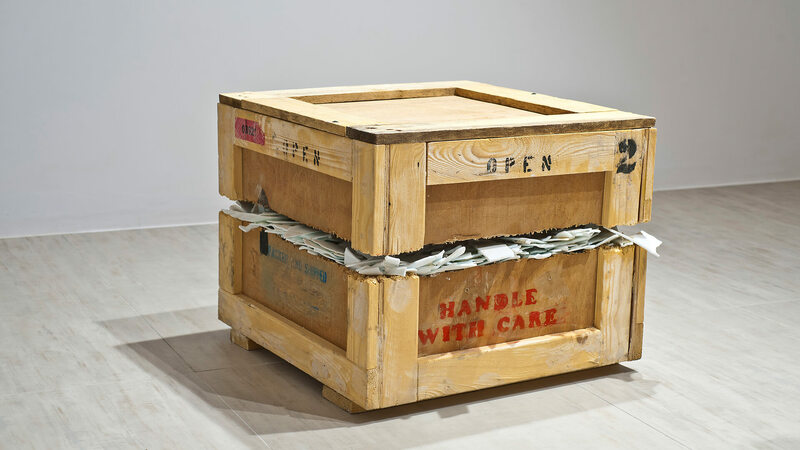 This Box in all its charged intensity comes to symbolize a voluntary re- location or an imposed dis- location. In both cases a move traumatic and sentimentally charged. 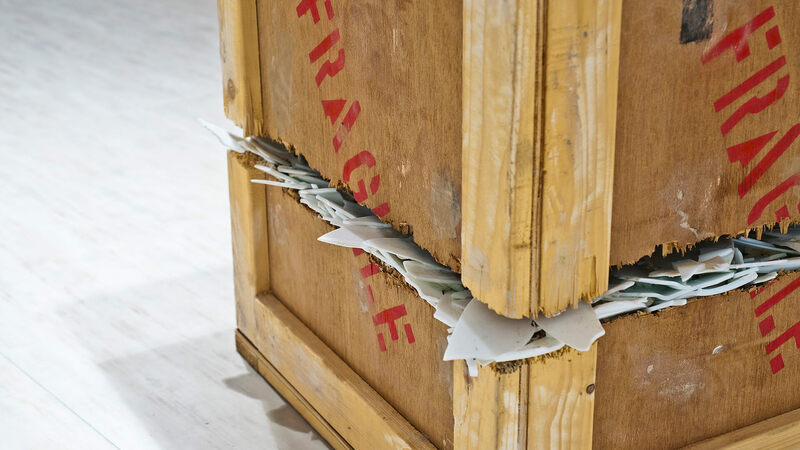 But the Box is broken and the contents fragile and pure in their whiteness of porcelain stacked within, now lay in view through the cracked planes of wood.